My name is BTO_RealZayComo I am an rnb artist. I'm all about passion, love, motivation, and inspiration. I make songs by myself with a mic, scarlett interface, in a closet. I love to sing ! Check me out ! I am trying to make a debut mixtape/album thats pure motivational, inspirational, passionate rnb with a message. I want to touch people that been through, and are going through things. Striving for greatness. 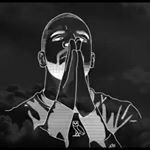 Let your fellow producers know how to send beats to BTO_RealZayComo!